Everyone has a bad day at work every now and then. the ambient tracks are pretty good. However, most of the trance tracks are really annoying and hard to listen to. Etnica became really agressive here and also on later releases. Not my cup of tea. The ambient is much better..
i really thought listen the first 4 track i was deceived...hahahahaha! lol! Played this once when it came out, and never again of course. The biggest crap from Etnica ever, terrible album. So, the third album from Etnica. What can I say. I bought Alien Protien and Equator at the same time. Other reviews made me think that Equator is a much better album than Alien Protien. When I listen to a couple of albums I prever to save the best for last. So after putting on my headphones and laying myself down I pressed the "play" button and Alien Protien started. Halelujah! This is probably one of the most intense acid goa I've ever heard! Super, with lots of things going on. Great album! Now it's time for Equator. 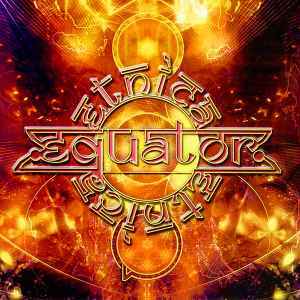 So now I'm thinking: "This must be the best album ever", but unfortunately Equator is completely different. It's more chill-like goa trance, hardly any acid sounds in the first couple of tracks. The album is nice and for sure worth a couple of dollars for purchasing it, but if you like goa with a little more power then I strongly recommend Alien Protien, because for me this is way more intense to listen to. Yes this album is something special as it shows a more experimental and trippy-tribal ambient side of Etnica. In addition there is this track "History" placed in the center of the album as it surely is the very heart of it. "History" is a presidential premium trance epos of a track that will prevail the meaning of its own title. "The alien ship is on its way to rendez-vous with history..." the voice sample says and BANG!!! take off! Compared to this the following two dance tracks (6 & 7) are pieces of crap but who wants to compare the absolute? "Oh my god! They're really from another world!"